Perhaps the greatest challenge for the human being is getting along with other human beings. 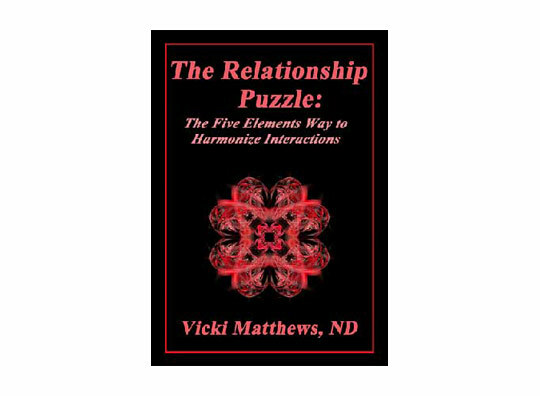 This DVD provides insights into our relationships and how to make them better. To do so, it explores an elegant, yet simple model from Chinese medicine called the Five Elements model. This model helps us understand why we act the way we act with certain people and how to change our patterns that are dysfunctional. We all have an affinity for one or two of the Five Elements and this affects everything we do. By understanding this affinity it is possible to predict our behavioral tendencies, emotional challenges, and interaction styles. From this 75-minute DVD you will begin to understand your own elemental type, how to determine the elemental types of others, and most importantly, how to create happier relationships. Included is a 25-page handout section with energy exercises designed to balance each element.